I hope you all like the new design. Of course, the changes are a work in progress but 2014 is an important year for Informed Comment. We will be adding some editorial staff and expanding our coverage to include the most important news organisations in the Middle East to provide a comprehensive political and news overview. We will also be including more original opinion from other regional experts. We have already started to develop a maps collection and will be adding a primary documents collection soon as well, to provide visitors with single stop access to high quality curated sources for research on the Middle East. Thanks to all those who have contributed in the past to make it possible for Informed Comment to continue and improve. This year those who contribute to Informed Comment will become members with a Golden Lion beside their own name in the comments as recognition for your role in making this site possible. You will also be included in a monthly private newsletter only for contributors with some additional big picture behind-the-scenes analysis which will be newsletter only. Those of you who donated last year supported several important trips to the region so as to have first-hand, on-the-ground impressions that would help me interpret the news. I’d like to tell you about those trips. Years ago I decided that I did not want to put Informed Comment behind a firewall and charge a subscription fee for it. That just isn’t who I am. In my own view, there has been a long crisis between the United States (and perhaps much of the West) and the Muslim world that I felt a duty to attempt to interpret and analyze for both publics, not just for well-heeled elites. More recently issues have arisen such a climate change and the energy and water crises, which have a great deal to do with the Middle East and South Asia, my areas of expertise. This is a democratic blog, for the people and in dialogue with the people, for the common weal. Although I have some research funds from my university, there are categories of expense it does not cover, and my ability to go spontaneously to the region when there are important developments is enhanced by your subscriptions (academic fellowships have to be plotted out at least a year in advance, which is too inflexible for my style of academic journalism). Also, I do some pro bono speaking and traveling for, e.g. peace groups, and you support those expenses, too. Your support gives me the determination and courage to go on. Visits to the region this year included a trip last year this time to Istanbul for its annual World Forum. I was able to hear movers and shakers such as Turkey’s PM Tayyib Erdogan, Libya’s former interim PM Mahmoud Jibril, and democracy and labor activist Ahmad Maher (who is now, sadly, in prison in Cairo). In February I was in Kuwait for a conference, and was very interested in the obviously powerful and active labor movement, and in the 600,000-strong Indian guest worker community. 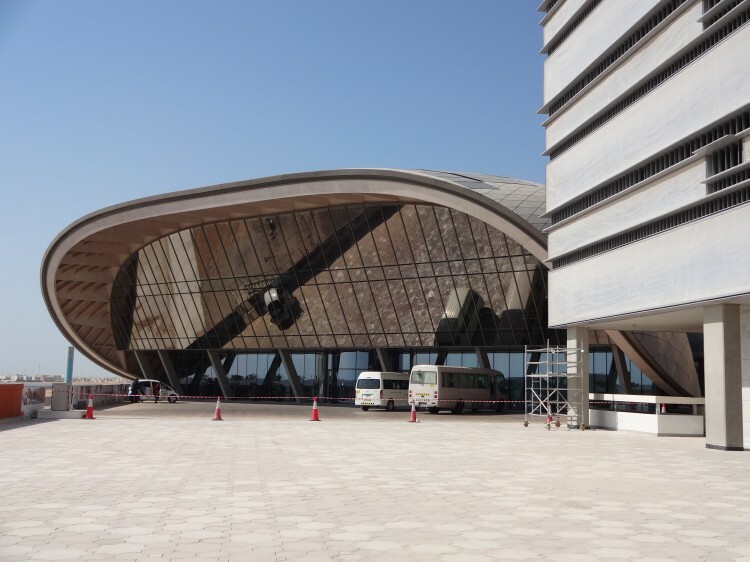 That same month I visited Abu Dhabi and Dubai in the UAE, where I saw the internet activist Sultan al-Qassemi and visited Abu Dhabi’s no-carbon planned city, Masdar. I went to Tunisia in the spring for a conference where I was able to hear from the current power elite – the prime minister, cabinet officials, opposition party members and the leader of the center-right religious party, al-Nahda or Renaissance. The conference was sponsored by the Center for the Study of Islam and Democracy (CSID) to whom I am grateful. I was also able to stay on and meet with secular youth activists. My visit then helped me understand the outbreak of protests and the political crisis that arose in summer of 2013 and are still roiling Tunisia. 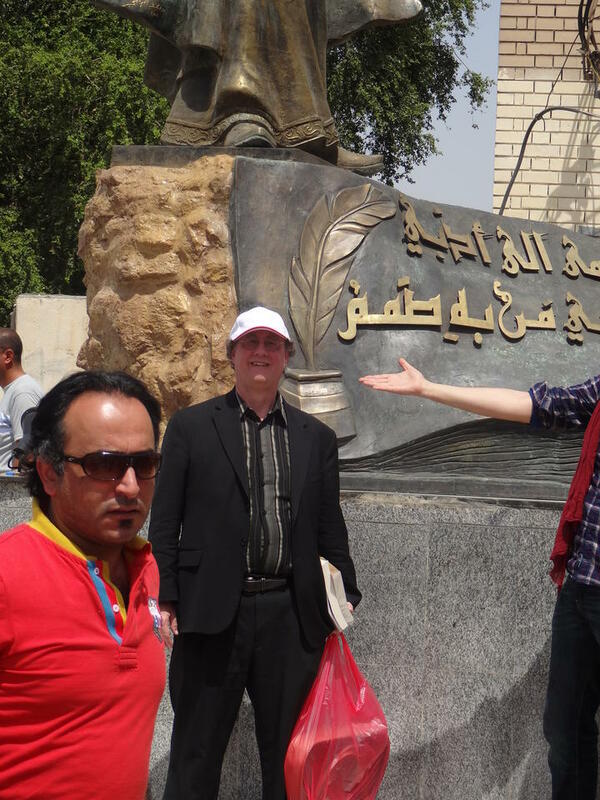 In early May, I was able to visit Baghdad (I put up a photo gallery of my visit to the Iraqi National Muslim, kindly arranged by the Ministry of Culture. 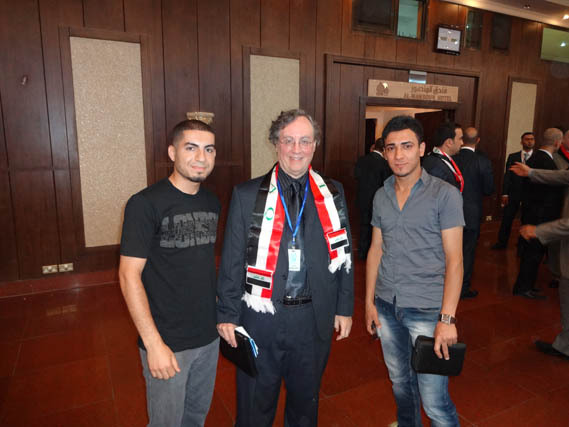 My colleague MarK LeVine was important in setting up that visit and in arranging for a meeting with youth at the Independent Film Institute, with the History Department at the University of Baghdad and at the National Archives. In early June I was in Egypt, getting a sense of the mood there in the run-up to the overthrow of then President Muhammad Morsi. I was able to make contact with a number of activists, at the Egyptian Institute for Personal Freedoms, Human Rights Watch, and elsewhere and to interview the important blogger Amr Ezzat. Everywhere I went people gave me that petition to sign, asking that Morsi submit himself to a recall election. At that time no one was talking about military intervention, and most people in my circles would have been against it. In August, I took my first trip to Indonesia, where I was looking at Hindu-Muslim relations as part of an investigation into the legal and social status of non-Muslims in contemporary Muslim-majority states. This was just spadework, but it certainly was informative and introduced me to a part of the world I hadn’t known much about aside from reading a few books. In the past year Informed Comment has remained highly visible, with over four million visitors at our own server, not to mention syndication across the internet both formal and informal. During peak events like the the Egyptian “revocouption” or the Syria chemical attack daily visitors spiked by many thousands at the server. Informed Comment is typically one of the top weblogs on world politics and politics in general as ranked by Technorati.com. Your support helps me intervene in the debate on Middle Eastern and other foreign policy issues in the United States and throughout the world. For 2014, we will continue to develop the new IC of which you see the first version now to make sure it is the best possible resource on the contemporary Middle East. I have several projects at Informed Comment for which I’d like to those who can to support. These plans continue to serve the larger goal of promoting understanding between the West and our neighbors in the Middle East. I will also continue to follow energy issues and climate change as these unfold, with their implications on the US, Europe, and the global South. When events call for first hand reporting, I will continue travel for research and journalism to places where important developments are unfolding affecting US foreign policy, including of course the Middle East. To make all these projects a reality, I do need your help. Our budget is a tiny fraction of any other news organisation in the world. Your contribution here very well makes a greater difference in the news landscape than anything else you could do. All those who donate $100 or more will receive a blue and gold Informed Comment Polo shirt. Some kind readers give more than once a year, but if you want the Polo shirt, consider making a single larger donation. All those who donate will become part of an Informed Comment supporters club who will receive my private monthly newsletter with some big picture political analysis and a Golden Lion beside their name. Smaller contributions are also very much appreciated! Paypal allows small donations, and if all the people who read this site and felt they benefited from it donated even a small amount, we could turn it into a media giant. Your donation helps me keep Informed Comment independent and prolific. Together we keep independent media alive. I would like to thank all my readers and contributors again for your support in 2013 and look forward to an even more productive 2014 together. Thank you for supporting our independent thinking and dialogue!